Al Qaeda in the Arabian Peninsula (AQAP), al Qaeda’s Yemen-based affiliate, is still a threat to the United States. An objective of U.S. policy is to deny AQAP operating space in Yemen. 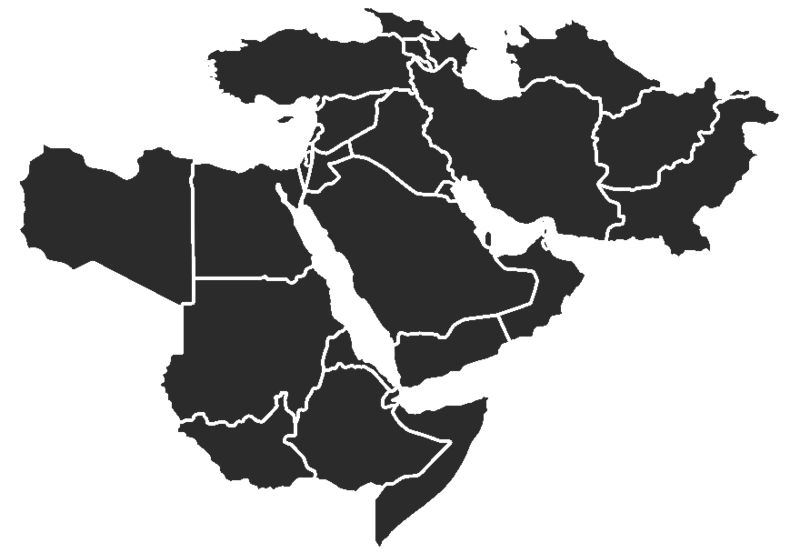 Operating space allows AQAP to plan and execute transnational attacks. The U.S. has largely outsourced the problem of containing AQAP to the Yemeni military. Yemen, in turn, has outsourced the task to local tribal militias. The validity of American strategy in Yemen thus rests on the viability of these local groups over the long term. AQAP fielded an insurgent wing, Ansar al Sharia, that has seized and held territory in Yemen previously. The perseverance of effective ground forces in the strategic governorates where Ansar al Sharia is a threat is vital to stopping a still-virulent al Qaeda franchise from gaining even more operating space. Local Yemeni tribal militias, called “popular resistance committees,” are now the primary defenders of areas threatened by Ansar al Sharia. These militias have been effective, but are not reliable in the long term. Many instances of tribal militias clashing with government forces or with each other indicate as much. Meanwhile, the Yemeni army has been crippled by a steady stream of brigade-level mutinies as President Abdu Rabbu Mansour Hadi’s efforts to restructure Yemen’s armed forces falter. Many tribal committees are suffering from diminishing operational support from the Yemeni government in Sana’a. A history of instability in the area, combined with the inauspicious progression of current events, poses an increasing danger to the southern governorates and to the reliability of the popular committees. Moreover, the nature of Yemeni tribes, especially in the threatened areas, strongly militates against the durability of tribal militias as a solution to this challenge to the security of Yemen and the United States. An understanding of tribal dynamics is necessary to anticipate where pockets of vulnerability lie and to guard against a still-active AQAP presence in Yemen. Unfortunately, it is unclear whether the interested parties possess the required expertise. The tenuous stability of post-Saleh Yemen and the limited and fragile gains against al Qaeda in the Arabian Peninsula (AQAP) rest on the reliability of tribal militias in key governorates. Those militias, called “popular resistance committees,” emerged in 2011 in response to AQAP advances. Initially supplemented by Yemeni regular military units, they are now holding ground against AQAP counter-offensives with diminishing support from the government in Sana’a, the capital. If these tribal militias fall to quarrelling with each other or with the central government, or both, then progress in the fight against AQAP may collapse. Evaluating the prospects for sustaining and expanding that progress, therefore, requires a clear-eyed examination of the nature of these committees and the strength or fragility of the tribal sub-strata on which they rest. Unfortunately, such an examination offers little cause for optimism. The nature of Yemeni tribes, especially in the governorates most at risk of AQAP counter-attack, strongly militates against the durability of tribal militias as a solution to this challenge to the security of Yemen and the United States. The Arab Spring created an opportunity for AQAP to seize territory in the south of Yemen while much of the Yemeni army was suppressing a burgeoning and, in some cases, violent protest movement. An insurgent wing of AQAP calling itself Ansar al Sharia emerged in 2011 and took control of several cities and towns in the strategic southern governorates of Abyan and Shabwah in May 2011. Ansar al Sharia held and partially governed its captured cities for a year. The Yemeni armed forces with U.S. support drove Ansar al Sharia from Jaar, Zinjibar, and Shaqra in Abyan and Azzan in Shabwah in May and June 2012. Partnerships with local tribesmen, formed into militias called popular resistance committees, were crucial to these victories. Ansar al Sharia retains a foothold in Abyan, however, despite the Yemeni government’s proclaimed “victories.” Ansar al Sharia militants remain in Mahfad district in Abyan and along the Shabwah-Abyan border, and may maintain a presence in Shabwah as well. The Yemeni government is now relying heavily on the same local popular committees that cleared Abyan and Shabwah to police and hold the territory there. The government has failed to send a police force, and the regular army troops deployed to the area have been compromised by mutiny over controversial decrees. As a result, the south of Yemen remains vulnerable to AQAP and Ansar al Sharia incursion. The reliance on tribal committees is sound only if those militias are dependable, but their dependability remains unclear. A history of instability in the area, combined with the inauspicious progression of current events, poses an increasing danger to the southern governorates and to the reliability of the popular committees. AQAP presence persists in several of Yemen’s governorates – al Bayda, Shabwah, Aden, Abyan, Hadramawt, Ma’rib, and even Sana’a, among them. The perseverance of effective ground forces in the strategic governorates of Abyan, al Bayda, Shabwah, and Lahij is vital to stopping a still-virulent al Qaeda franchise from gaining even more operating space. The breadth of the region under threat is large, but the different regions share commonalities. For example, al Bayda and Shabwah governorates are culturally and geographically distinct, yet they present similar challenges to ensuring local and tribal cooperation. Click for tribal maps of al Bayda and Shabwah governorates. Al Bayda is a strategically important area in the fight against AQAP and its affiliate Ansar al Sharia. It directly borders Abyan, where Ansar al Sharia took and held cities for a year starting in 2011. It also directly borders Sana’a governorate to the north, and contains a main road running from Abyan through Dhamar and to the capital. One of its larger centers, Rada’a, is only 100 miles from the capital. Recent reports of increased AQAP or Ansar al Sharia activity in al Bayda indicate that the governorate warrants a closer look. Al Bayda is considered a tribal region, partly because of the strength of tribal ties, and also because of instances of tribal violence, which can occur between the tribes and government forces. Several factors contribute to unsettled relations between al Bayda tribesmen and the central government. First, there is the problem of tribal infighting and instability. Second, tribes in al Bayda, as in many parts of Yemen, express frustration at being neglected or slighted by the government. Third, the presence of government forces is antagonizing and a source of conflict. A group of between 150 and 200 armed men, led by Tareq al Dhahab, a local tribesman with AQAP affiliations, seized control of Rada’a, a strategic town in al Bayda on January 14, 2012, and held parts of the town for ten days. The seizure of Rada’a, just 100 miles down the road connecting Sana’a to the southern governorates, was closer to the capital than any previously attempted territory grab by Islamist groups in Yemen. AQAP cells have operated in and around Sana’a in the past; the difference here was control of territory. The expulsion of Tareq’s men required a combination of local cooperation and government assistance. Click for the Qayfa tribal hierarchy. Tareq al Dhahab was a local tribesman and a member of a prominent local family. He tried to win over Rada’a locals with promises to bring justice through shari’a law. He also reached out to surrounding tribes by freeing imprisoned tribal members arrested for crimes of revenge – crimes that the tribes felt should be judged through local tribal custom. Tareq’s men did not free those accused of civil crimes, such as theft, and intended to try those criminals under shari’a law. Tareq’s efforts to win local support failed, however, and the local population actively resisted his incursion into Rada’a. Sheikhs, or tribal leaders, from surrounding areas participated in a mediation effort to negotiate the withdrawal of Tareq’s men, which is a common Yemeni method of resolving local disputes. Majed al Dhahab, Tareq’s relative and the sheikh of their tribe, publicly rejected his brother’s militant affiliations just days into the attack. Neighboring tribes, including the Qayfa tribe, to which the Dhahabs belong, sent fighters against Tareq and his supporters on the ground. Popular resistance committees were established to protect the city and the surrounding districts four days after the initial assault. The tribes that contributed men to the fight included the Riyashi, the Al Sarhan, tribes from al ‘Arsh district, as well as the Qayfa tribe, including the Hattaimah, another Qayfa sub-tribe. On January 20, the struggle between the tribes and Tareq’s men came to a head. During the fight, the committees successfully stopped the militants’ attempt to expand their control of the city. Tribal mediation played a key role in their final removal from Rada’a. Although tribal cooperation was essential to the removal of Tareq al Dhahab’s gang from Rada’a, it was not in itself sufficient. Assistance from the government in Sana’a was also essential. Government security forces were sent to surround and retake Rada’a days after the initial attack. Tareq and his men finally withdrew on January 24 in accord with a deal reached with tribal mediators. As would occur later in Abyan and Shabwah, a coordination of tribal efforts and government support led to the removal of AQAP from this part of Yemen. Tareq al Dhahab’s militants were clearly linked to the ongoing expansion of AQAP and its insurgent wing, Ansar al Sharia. Once they had established themselves in Rada’a’s ancient al Amiriyya mosque, Tareq’s militants publicly pledged their allegiance to Ayman al Zawahiri, leader of the core al Qaeda network. Tareq also had personal connections to AQAP; he was a relative of AQAP leader Anwar al Awlaki by marriage. In addition, Tareq’s brother Nabil had been detained in Syria while attempting to cross into Iraq to fight in 2006 and was in Yemeni detention at the time. On seizing Rada’a, Tareq demanded Nabil’s release, along with other al Qaeda-linked militants detained in Yemen and the Guantanamo Bay Prison. The seizure of Rada’a also had roots in intra-tribal conflict. Tareq al Dhahab was passed over for the job of sheikh in his tribe years before he attacked Rada’a. His relative, Majed, who later led the efforts to expel Tareq from Rada’a, was selected for the position instead. Angered, Tareq reportedly left the territory in 2007 to raise an army. Tareq’s association with AQAP continued to create divisions within the tribe during and after the Rada’a campaign, exposing the tribe and its territory to greater threat. Tareq al Dhahab was killed by his half-brother Hizam about a month after Tareq’s forces had left the city for al Manaseh, the center of Dhahab territory. Hizam and local tribal leaders were worried that Dhahab’s continuing support of AQAP would lead government forces to target the region. Militants began targeting anti-AQAP Dhahabis after Tareq was killed; Majed survived an assassination attempt that killed his son on July 28, 2012. Meanwhile, the Yemeni government has gone after other Dhahabis who are members of AQAP. At least four airstrikes have targeted Rada’a and al Manaseh, both Qayfa tribal areas, since January 2012, including one that killed Tareq al Dhahab’s brother, who allegedly took over the role of AQAP’s local leader in Rada’a district after Tareq’s death. AQAP is reportedly holding three foreign captives in Dhahabi territory since January 2013, and the Yemeni government has sent down forces in response. It is likely that pre-existing tribal fractures within the Dhahab tribe created an opportunity for AQAP to exploit. The Qayfa tribe as a whole has a history of infighting. Tareq al Dhahab came from the al Dhahab sub-tribe of the Qayfa tribe, a powerful group sometimes called one of the most powerful tribes in Yemen. The tribe contains many sub-tribes and families; some divide its many arms into “Upper” and “Lower” Qayfa tribes. Its far-reaching territory, contained mostly in northern al Bayda governorate, includes the district of al Qurayshiya, which the Yemeni armed forces’ newspaper, 26 September, cited as one of the areas most beset by tribal violence in the governorate. Qurayshiya is home to a Qayfa sub-tribe called al Hattaimah, which deployed its own men to aid in the expulsion of Tareq al Dhahab’s militants in January 2012. The newspaper 26 September cited the Qayfa tribe and its sub-tribe al Hattaimah as particularly violent. Tareq’s al Dhahab tribe has also been involved in conflicts with other members of the larger al Qayfa tribal group. In April 2010, a fight broke out in Rada’a between the Dhahabis and the Bani Alis, the latest battle of a decades-old conflict. Al Bayda’s provincial capital is also plagued by violence related to local disputes. Around the same time as the Bani Alis and Dhahabis were fighting in Rada’a, an inter-family conflict broke out over real estate there. The Awadhi tribe is another prominent force in al Bayda that has expressed dissatisfaction with the central government. The tribe has a history of members who participated in Yemen’s various revolutions – including the most recent protest movement during the Arab Spring that unseated former President Ali Abdullah Saleh. For example, an Awadhi sheikh named Ahmed Abdu Rabbu al Awadhi was a leader in the 1963 revolution. Some Awadhis say that his and their tribe’s revolutionary legacy has not been properly acknowledged, especially compared with that of the northern tribesmen. In fact, northern tribesmen like the Hashid and the Bakil generally speaking have interests disproportionately represented in the capital. But local support is necessary to contain security threats. An Awadhi sheikh was one of the first to step in to negotiate the removal of Tareq al Dhahab’s men from Rada’a in early 2012. If the Awadhi tribe is still smarting from perceived slights, then the same discontent may easily grow and fester among the tribes engaged in the current fight against AQAP. Popular resistance committees are holding up more than their end in policing Abyan, Shabwah, and al Bayda. There are few indicators that the Yemeni security forces deployed to the region are actively or effectively policing for lawlessness. In the long term, if the Awadhis or the Qayfis, the Hattaimis, and the others fighting on the government’s side in al Bayda decide that they have not been sufficiently acknowledged for their support, these tribes could become estranged and uncooperative – in a territory that AQAP has sought to control. Indeed, there are already signs of erosion in the relationship between government forces and the popular committees and local tribes. Since Tareq al Dhahab’s men were expelled from Rada’a, al Baydian tribes have clashed at least twice with government forces. In the first instance on May 7, 2012, members of the Central Security Forces (CSF) in Rada’a killed Abdul Majed al Hattam, a member of the al Hattaimah tribe. The al Hattaimah tribe had helped to expel Tareq and his men from Rada’a. According to local sources, tribesmen convinced Hattam’s family to forgo reprisal and let the country’s law take its course. However, CSF leadership refused to turn over the killers to the courts, instead transferring them to the governorate capital under the orders of the then-governor of al Bayda, Mohammed Nasser al Ameri. Al Hattaimah tribesmen stormed the central hospital in Rada’a on May 10 in an attempt to recover the body of the deceased. The CSF sent tanks to stop the raid, resulting in deaths on both sides. In a second instance, Republican Guard troops in the area killed the son of a sheikh of the Qayfa tribe on September 18 when he refused to surrender his weapons at a checkpoint outside Rada’a. Tribal partners in both cases perceived the government forces to be acting aggressively towards them. The next month, Rada’a tribes set up roadblocks around the city. Security forces removed the tribal roadblocks, which had stopped 100 trucks, according to 26 September. The army newspaper stated cryptically that the reason for the tribal roadblocks was to “solve [the tribes’] problems.” Although blocking roads as a way to extract favors from the government, whether in the form of money, jobs, or prisoner release, is a common practice in Yemen, it is concerning that such a practice should have reemerged less than a year after the creation of popular committees, ostensibly formed to cooperate with the Yemeni armed and security forces to establish order. Click for the Bani Helal tribal hierarchy. Shabwah is a remote and sparsely populated governorate. Its tribes have been weakened by South Yemen’s former socialist regime that discouraged tribal affiliation and by decades of outside manipulation by a succession of regimes as well as foreign powers. Yet, Shabwah suffers from the same destabilizing factors as al Bayda: tribal instability and fracturing, resentment of the central Sana’a government, and conflict with locally deployed security forces. In fact, Shabwah tribesmen may have a more contentious relationship with the government forces than their counterparts in al Bayda. One tribesman was killed in 2010 at a military checkpoint in Ataq. The young man, Saleh al Harethi, was a member of the Balhareth tribe, which years before had already been involved in fighting to secure positions in the gas industry. After the incident, then-governor Ali Hasan al Ahmadi stepped in to resolve the dispute by offering reparations to the tribe in the form of money and weapons. On November 26, 2012, tribesmen in Shabwah attacked a truck carrying oil from Shabwah’s oil fields. The governor of Shabwah, Ahmed Ali Salem Bahaj, refused to use tribal mediation and sent the military to reclaim the truck. In response, tribesmen attacked the governor’s home in Ataq. The situation was only resolved after tribal mediation achieved peace. Inter-tribal fighting in Shabwah is also a problem. One fight between the Bani Helal and the Bani ‘Atef erupted over an honor killing in Jardan district. In Abyan, popular committees have been the most active force in combating Ansar al Sharia to date. They participated in the offensive that drove Ansar al Sharia out of the city centers in May and June 2012. The popular resistance committees have now been left to bear the brunt of securing and policing the cities in Abyan. Several factors are putting undue strain on these militias. As a result, a transition from cooperation to tension is emerging. There are signs of trouble due to a breakdown of cooperation even within these committees. First among these factors is the lack of operational support from the central government in Sana’a. Some security and army forces in the area have withdrawn entirely. On August 6, 2012, President Abdu Rabbu Mansour Hadi issued a series of decrees transferring brigades to new commands. Two days later, around 100 members of the elite and well-trained 2nd Mountain Infantry Brigade, which had been reassigned from the Republican Guard into the Southern Military District, withdrew in protest. This brigade was one of the few elite Republican Guard forces that had been deployed to Abyan, where the former Ansar al Sharia strongholds of Zinjibar, Jaar and Shaqra fall. The brigade participated in the retaking of Shaqra on June 15. The 111th Infantry Brigade also protested in October because of lack of pay. In addition, popular committees claim to not be receiving even sufficient material support; that the stipends from the government are not complemented by arms or transportation assistance. But even before the unrest among the security forces, popular committees were shouldering a large portion of the fight. Ansar al Sharia recognized the importance of popular committees in holding territory, and in summer 2012, shifted from attacking soldiers to ground and asymmetrical attacks against committee members. Militants attacked popular committees in Batis on August 6. They again attacked a committee in Jaar on August 14. Members of Ansar al Sharia have also carried out several assassination attempts against committee leaders. Abdul Latif al Sayyed, leader of the militia in Jaar and Batis, has been the target of at least five separate assassination attempts. He was injured on August 4 by a suicide attack at a memorial service for his nephew at the family home in Batis, along with about 45 of his tribesmen. A suicide bomber targeted a second popular committee leader, Mohammed al Aydarous, on September 29 in Lawder, in northeast Abyan. Aydarous died a month later in a car crash, the causes of which remain unclear, while he was returning from a meeting with the Minister of Defense in Sana’a. The crash may have been purely accidental, but the timing was certainly suspicious. Meanwhile, the popular committees in Jaar and Batis have assumed the policing of the reclaimed southern cities. The popular committees have carried out a series of raids and arrests in Jaar and Batis, sometimes in coordination with the 119th Infantry Brigade and sometimes on their own. Police forces from Sana’a have directly refused orders to relocate to the south. Hundreds of police officers in Sana’a staged a violent protest against their reassignment in Sana’a in early October 2012, for example. The Ministry of Defense acceded to their demand to remain in the Yemeni capital after the violent protest, leaving the southern governorates still under-policed. The more disturbing development since the May-June offensive is that tribal militias are now actually coming to blows with government forces, as in al Bayda, and even among themselves. In one such instance, members of the Central Security Forces (CSF) in Zinjibar were accused of looting homes. The committee members arrested a CSF member and accused him of robbing the home of a member of the committee. When CSF soldiers came to free the captured soldier, the fighting that ensued killed at least one member of the CSF and an unreported number of committee members. As in al Bayda, this conflict was a harbinger of escalating tensions between the committees and government forces. Just a month later, the committees had established roadblocks in al Rawa’ town, north of the city of Jaar. Their grievance was clear; the governor of Abyan, Jamal Nasser al Aqel, had reneged on a promise to award 40 positions on the popular committees to men from the immediate area. Popular committee members receive salaries from the government, and the positions are desirable. Locals accuse governor al Aqel, appointed by Hadi on April 6, of awarding these prime salaries only to tribes that support him, making him unpopular. This move has also angered local security forces to the point that they have threatened to withdraw from their positions unless al Aqel ends his favoritism. The popular committees removed the roadblocks in al Rawa’. They said that the importance of their mission to protect the area from AQAP and Ansar al Sharia was more important. Yemen is now relying, in other words, on the committees to police themselves as well as guard against dangerous militants. The newly appointed governor al Aqel is mishandling the situation in Abyan, putting the solidarity of the popular committees in jeopardy. The committees themselves are showing signs of internal tension. In November 2012, a popular committee member killed a member of his committee at a checkpoint outside of Lawder. It is not a surprising development, if indeed membership is being politically manipulated. The trend in Yemen over the past two years has been to rely increasingly on local groups to govern outlying areas of the country, particularly as poor security has eroded Sana’a’s ability to govern its peripheries. The formation of tribal committees comprised of local fighters is part of this trend, and it too is likely to become more prevalent. More committees were formed in January 2013 to address growing security concerns in Shabwah governorate. Looking into the future, the unavoidable question is: can the central government rely on Yemeni tribal structure, in the form of local militias, to protect the vulnerable areas outside the capital? Judging from the experience of the past year, the answer is no. Tribes require significant outside support and motivation – both operationally and materially – to fend off Ansar al Sharia and AQAP. Tribal politics vary by tribe, and they are easily mishandled, as they were in Abyan by governor al Aqel. During the Arab Spring, many parts of Yemen drifted even further away from government control. It is unlikely that the ungoverned areas of Yemen, which include past and present AQAP strongholds in Abyan, Shabwah, Ma’rib, al Jawf, and al Bayda, will come under the control of the central government in the near future. Rather, the trend is moving in the opposite direction – toward devolving security across Yemen’s peripheries. An understanding of tribal dynamics is necessary to anticipate where pockets of vulnerability lie and to guard against the still-active AQAP presence. Unfortunately, it is unclear whether the interested parties possess the required expertise. “Al” with an uppercase “A” is used as a transliteration of the Arabic, meaning family for clan. “al” with a lowercase “a” is a transliteration of the Arabic definite particle.